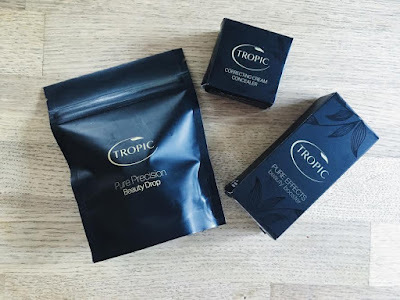 I love trying out new brands and Tropic is probably one of my favourites I have come across whilst blogging! Firstly, Tropic is a vegan brand which instantly makes them amazing! 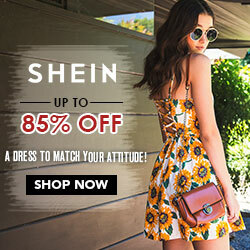 They have products for skin care, body care and makeup. I have tried out some of their makeup, although I wish I could try it all out as everything looks so great. The packaging is also really nice. PURE EFFECTS BEAUTY BOOSTER: £22 This is a silky beauty boosting serum that creates an invisible barrier to protect your skin against daily pollution, UVA/UVB and HEV artificial lighting. Personally, I am really conscious about protecting my skin from these things so it is helpful to have a product that achieves this. Mine is in the shade light and provides great coverage yet isn't cakey or heavy at all. It also makes my skin look really fresh and radiant, the smell is also amazing and tropical. I can't quite pin point the scent but I think it is the jojoba inside. It is so easy to use as you can really control how much that comes out, it's almost like a pipette as you can apply it drop by drop. I love the fact it has SPF 35 as I'm always putting a high SPF on my face to protect my skin. The beauty booster also comes with a beauty drop, which can also be bought separately for £6. 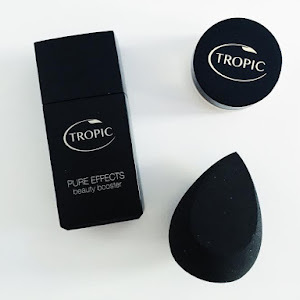 PURE PRECISION BEAUTY DROP: £6 This sponge is very dense and has a flat side to apply makeup even more precisely. The pointed edge is also perfect for the eyes and nose. 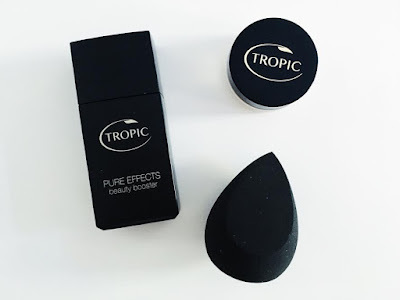 The rounder part is great for creating an even coverage. CORRECTING CREAM CONCEALER: £22 (currently on sale for £16.50) Mine is in the shade light and it blends into the skin really well. The formula is creamy which makes it easy to apply and provides great coverage. It has oat oil, zinc oxide and arnica extract inside to help fight blemishes and calm redness. This concealer also has SPF 35, providing further kindness to skin. Using this concealer seems to not only conceal imperfections but also help skin to improve. I love using this as it blends so well into my skin and is a perfect match. 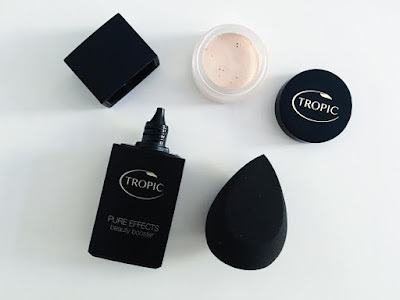 I'm loving these products and can't wait to try some more Tropic products! There is a 25% off sale until 31st Aug 2016 so check it out while you can. Ooh I've been looking to get into Vegan make up and Skin care for a while but some stuff is so hard to come by! And these prices are sooo reasonable too! Great review I'm definitely going to check this brand out! The prices are great! 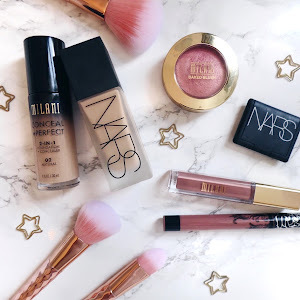 This brand is my new obsession it is amazing and they have so many great products to choose from! These look really interesting! I would love to try them out.